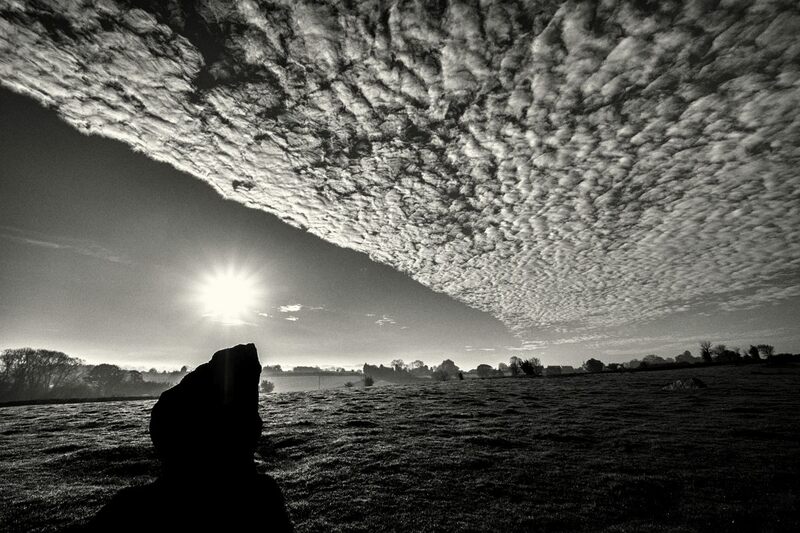 Amongst the prehistoric ritual stones at Stanton Drew, in the Chew Valley south of Bristol. Other images of these ritual stones are here: 1 2 3 4 . More info about this prehistoric site is here . Technique: X-T1 with 10-24 Fujinon lens at 14mm (equiv); 200 ISO; Lightroom, using the Velvia/Vivid film simulation; Silver Efex Pro 2, starting at the Tin Type preset; Stanton Drew, in the Chew Valley south of Bristol; 6 Nov 2017. 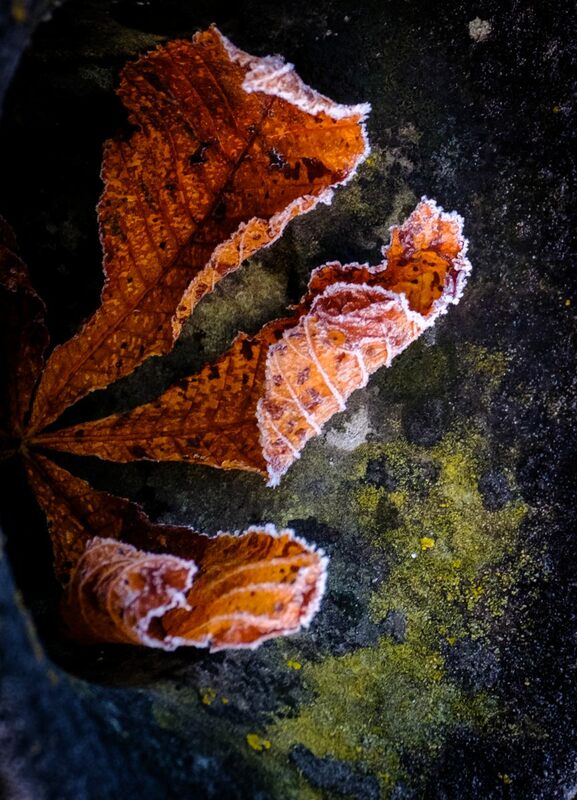 Autumn leaves and lichen inside an old and very weathered pot for flowers; on a grave, on a frosty morning, in the cemetery at Stanton Drew. Earlier Autumn posts are here: 1 2 . Technique: X-T2 with 55-200 Fujinon lens at 238mm (equiv); 3200 ISO; Lightroom, using the Velvia/Vivid film simulation; Stanton Drew, in the Chew Valley, south of Bristol; 6 Nov 2017. 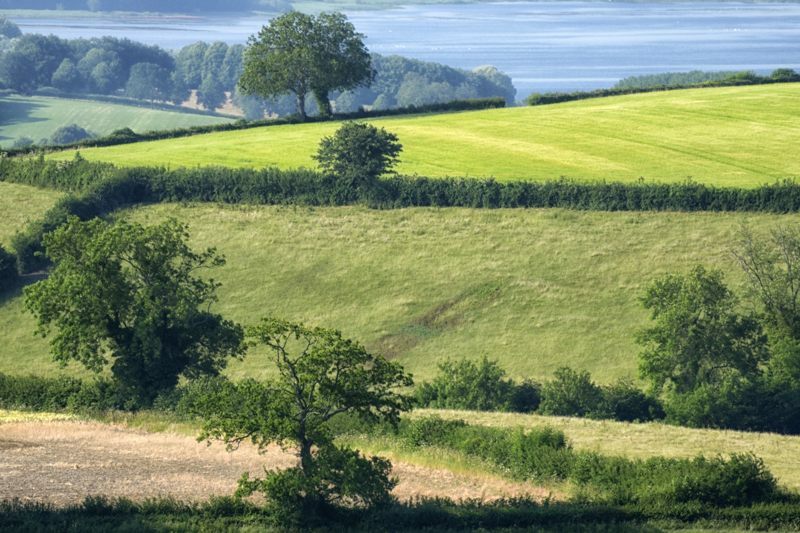 The view south from Rattledown Farm, looking out over the Chew Valley, south of Bristol; Chew Valley Lake is in the background – looking for all the world like blue sky; 12 July 2013. Another slice of the English countryside, on a beautiful morning. I think that the line of taller trees take my eye up through the picture to the lake’s blue, which then pulls my gaze right. And I like the wedge of vivid pale green cutting across the image, just about along the upper horizontal third. Chew Valley Lake is an artificial reservoir, flooded in the early 1950s – Google tells me it is the 5th largest artificial lake in the UK. It has something of a special place in my life in that it was around its shores, in 1967, that I took my first, hesitant steps to becoming a birdwatcher – “with a little help from my friends”! I was useless at birdwatching in those days. I was (and am) short sighted, wore glasses, and had only a small telescope bought for me by my parents many years earlier. So, a bird would appear, I’d see it and whip off my glasses so as to be able to use my telescope – and then totally lose sight of it, casting blindly about with the scope. For Christmas that year, my impecunious mother bought me a pair of 10×50 binoculars that could be used with my glasses on and – no pun intended – I never looked back. Technique: D800 used in APS-C format, with a 70-300 Nikkor lens giving a focal length of 450mm; 400 ISO; final manipulation in Colour Efex Pro 4. Other images of these ritual stones are here: 1 2 3 . 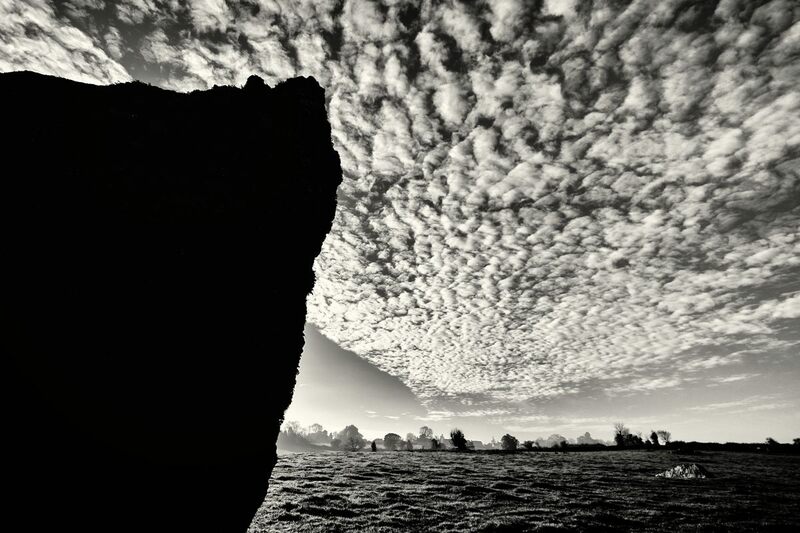 Technique: X-T1 with 10-24 Fujinon lens at 15mm (equiv); 200 ISO; Lightroom, using the Provia/Standard film simulation; Silver Efex Pro 2, starting at the Full Dynamic Harsh preset and adding a light coffee tone; Stanton Drew, in the Chew Valley; 6 Nov 2017. A frosty, misty, autumn morning on the outskirts of the village. 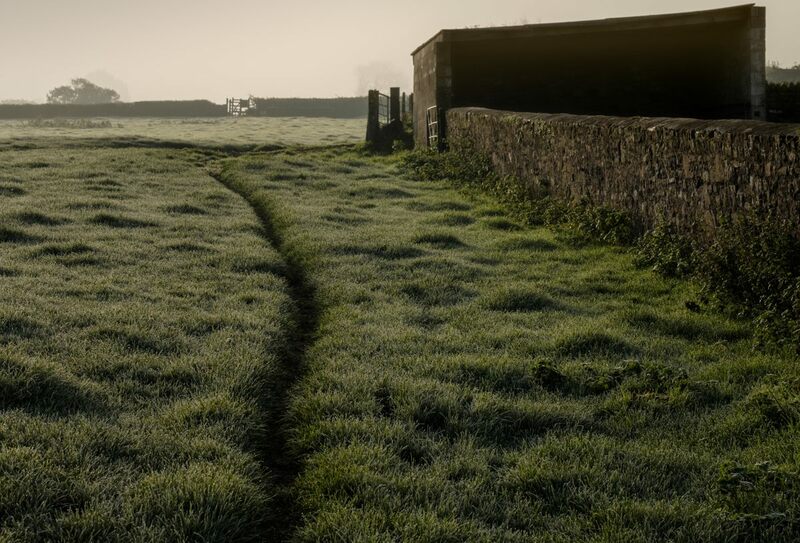 A path, made by farm animals, passes across the fields of Church Farm – which, logically enough, is the farm next to the church. There is a livestock-proof gate into the next field in the hedge in the distance and, on the right, one of the farm’s outbuildings. A calm, simple scene, shot against the light. The path leads my eye towards the distant gate, and the wall and the outbuilding (including the shallow tilt of its roof) are also pointing in that general direction. This might look alright in black and white, but here are the muted colours of the cold and the mist, made more so by the film simulation. An introduction to this Village Life series can be found here: 1 . Further images are here: 2 3 4 5 6 7 8 9 10 11 12 . Each will open in a new window. Technique: X-T2 with 55-200 Fujinon lens at 84mm (equiv); 400 ISO; Lightroom, using the Pro Neg. Hi film simulation; Stanton Drew; 6 Nov 2017. Other images of these ritual stones are here: 1 2 . Technique: X-T2 with 55-200 Fujinon lens at 305mm (equiv); 200 ISO; Lightroom, using the Velvia/Vivid film simulation; Silver Efex Pro 2; starting at the Film Noir 1 preset and adding a strong copper tone; Color Efex Pro 4; Stanton Drew; 6 Nov 2017. 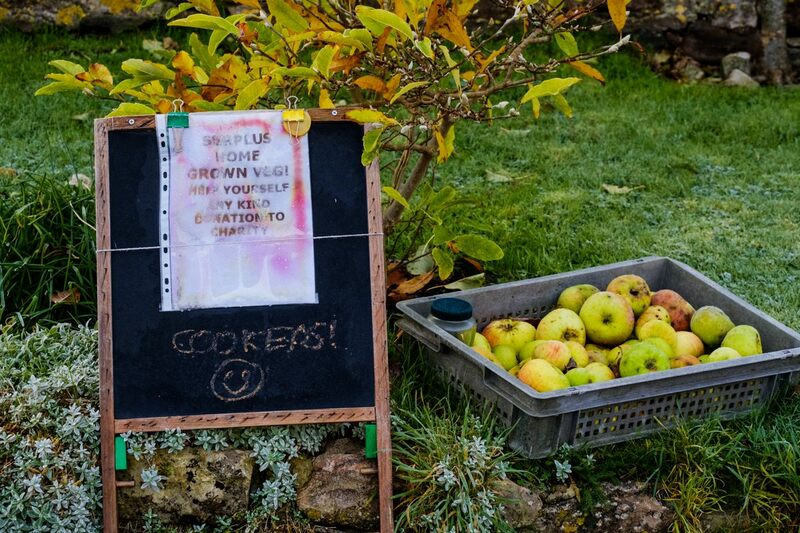 Cooking apples (cookers!) being given away in a front garden beside the road along to the prehistoric site. Again the honesty thing – takers can leave donations in the jam jar if they wish, and the money will then go to charity. 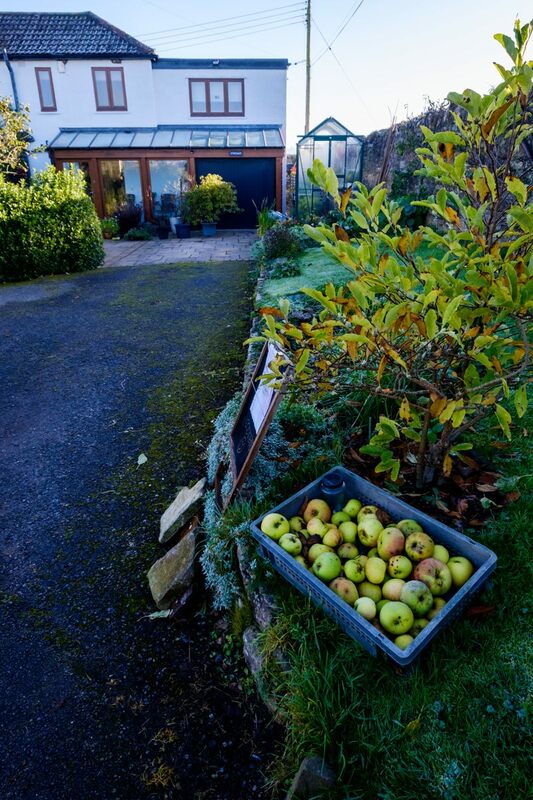 Looking at these apples makes me think of large, deep apple pies of the sort my mother used to make, cooked with lots of sugar to sweeten the apples and served with vast outpourings of hot – and not too thin! – custard!!! An introduction to this Village Life series can be found here: 1 . 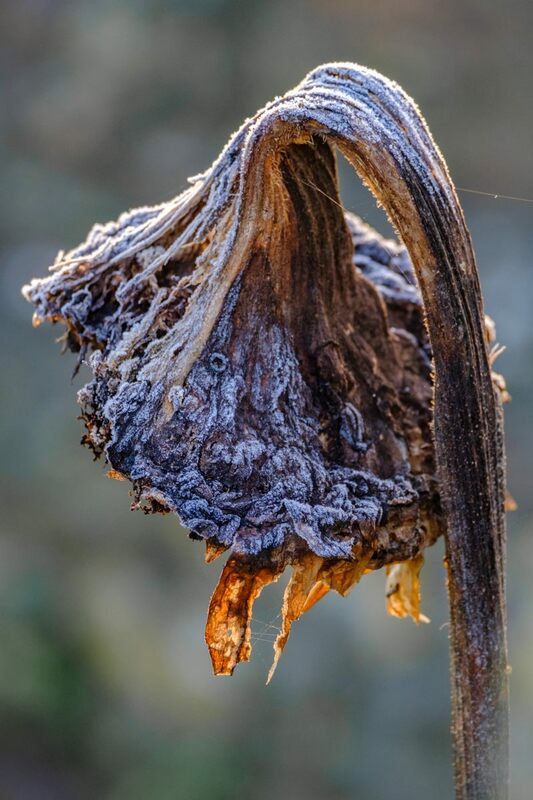 Further images are here: 2 3 4 5 6 7 8 9 10 11 . Each will open in a new window. Click onto each image to open a larger version in a separate window, and click onto that image to further enlarge it. Technique: X-T1 and wide angle (upper image) and X-T2 with the telezoom; Lightroom, using the Astia/Soft film preset; Stanton Drew; 6 Nov 2017. 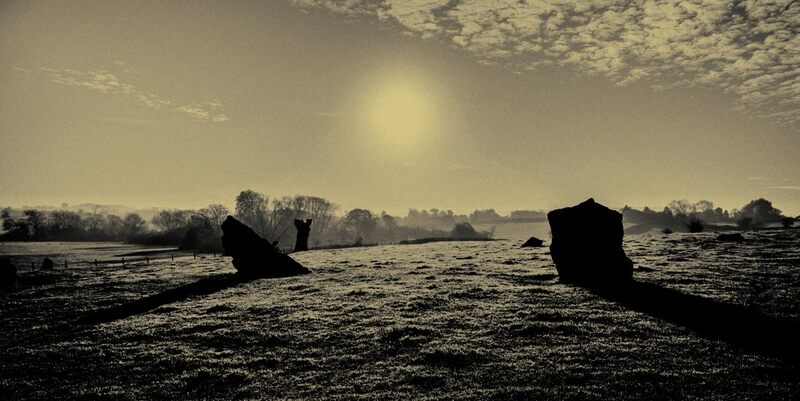 The prehistoric ritual stones at Stanton Drew, in the Chew Valley south of Bristol. Other images of these ritual stones are here: 1 . Technique: X-T1 with 10-24 Fujinon lens at 15mm (equiv); 200 ISO; Lightroom, using the Velvia/Vivid film simulation; Silver Efex Pro 2, starting at the String Infra Red Low Contrast preset and adding a strong Selenium tone; Stanton Drew; 6 Nov 2017. 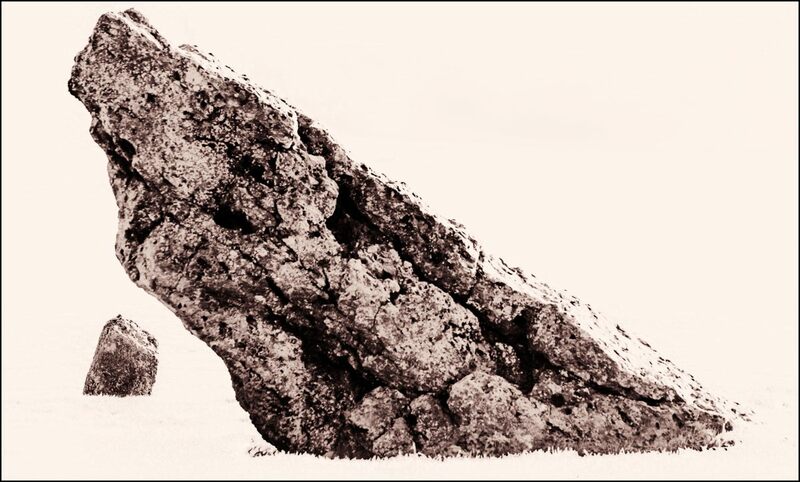 Standing ritual stone – or megalith – erected in prehistoric times at Stanton Drew. 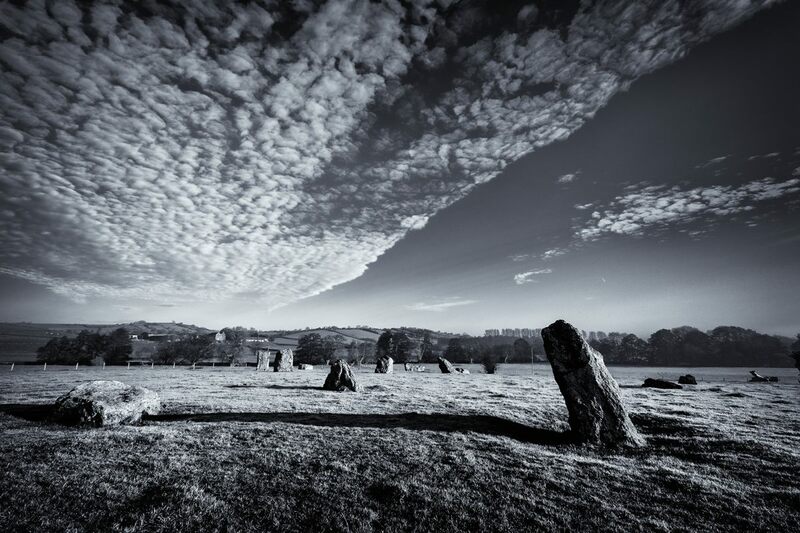 More about the Stanton Drew prehistoric site is here . Technique: X-T1 with 10-24 Fujinon lens at 15mm (equiv); 200 ISO; Lightroom; Silver Efex Pro 2, starting at the Fine Art Process preset, and giving the image the look of Kodak Tri-X 400 TX Pro black and white film; Stanton Drew; 6 Nov 2017.